Vintage style heart-shaped locket filled with blue Montana sapphires. This locket pendant will make a wonderful gift for any sapphire lover or September birthday person. The locket features a vintage scroll design giving the heart an antiqued look. 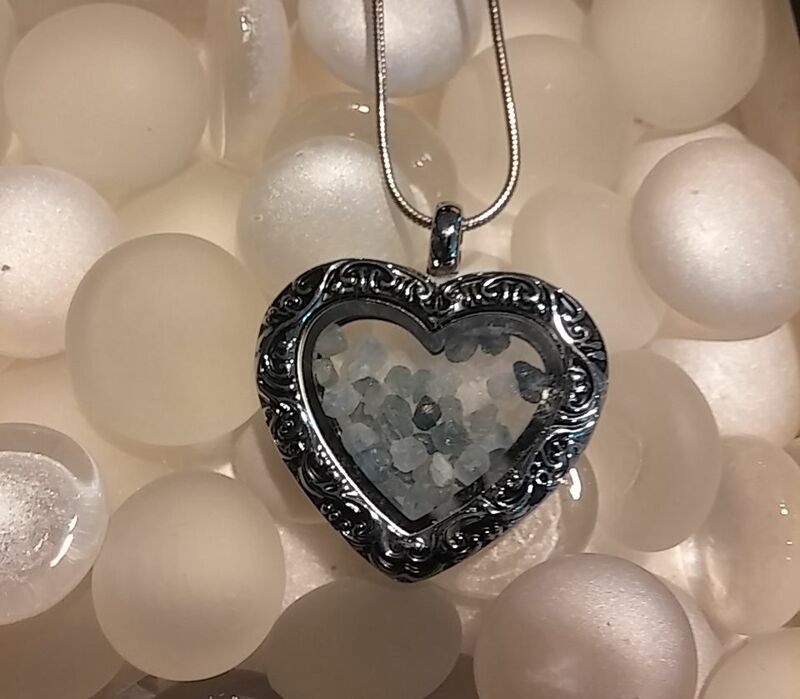 We then filled this locket with beautiful blue, Montana sapphires. These sapphires were mined from the Gem Mountain Rock Creek sapphire deposit in Philipsburg, Montana. Overall size of the locket is 1 1/8th” in diameter and 1/4″ thick. Silver plate with glass and silver colored chain included.